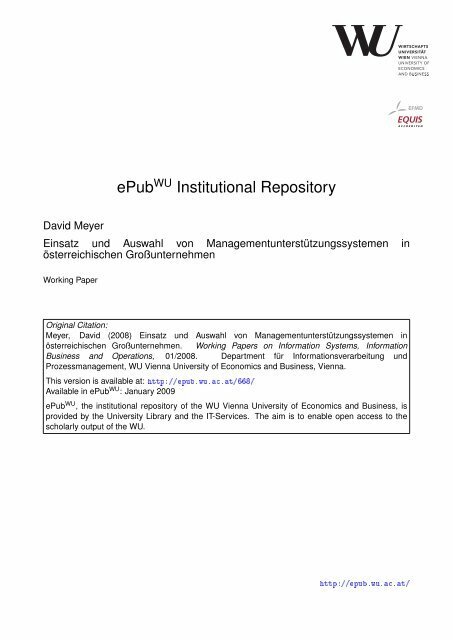 David Meyer ePub WU Institutional Repository Einsatz und Auswahl von Managementunterstützungssystemen in österreichischen Großunternehmen Working Paper Original Citation: Meyer, David (2008) Einsatz und Auswahl von Managementunterstützungssystemen in österreichischen Großunternehmen. Working Papers on Information Systems, Information Business and Operations, 01/2008. Department für Informationsverarbeitung und Prozessmanagement, WU Vienna University of Economics and Business, Vienna. This version is available at: Available in ePub WU : January 2009 ePub WU , the institutional repository of the WU Vienna University of Economics and Business, is provided by the University Library and the IT-Services.  The aim is to enable open access to the scholarly output of the WU.